With many gadgets and software applications becoming more advanced, it can be time consuming to comprehend their full functionality. While the basics of MindGenius are relatively easy to pick up, some of you may not be aware of its full capabilities. These hints and tips aim to show you features you may not have discovered yet. Firstly, we will be looking at Analysis and how MindGenius enables you to make sense of the ideas you have captured and create different views of your data. Then we will be looking at two quick tips that can be picked up in seconds and used on a regular basis. This is a feature that allows you to work with the information and ideas you have captured, to make sense of it and build a clear understanding of the overall picture and what to do next. Using “Categories,” which are accessed via the Properties pane by selecting the key icon, you can visually link ideas together and differentiate between different ideas/projects/tasks. You can also rename the categories to be more relevant to you, or your business. 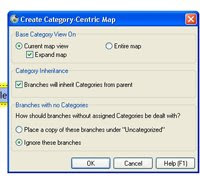 At the click of a button, this will create a separate MindGenius map file, containing all of your ideas, split neatly into categories. If you wish to ignore uncategorised ideas, simply check the "ignore these branches" option. This allows you to look at specific ideas or projects in isolation in order to further develop them or to create project plans, making short work of collating your initial ideas and helping you to gain understanding on the overall picture. 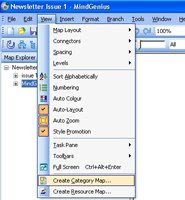 If you are building a map to create a report or other type of document, it is likely you will have added content to the Notes field in the Properties pane. In order to easily and quickly access and re-read or add to them, just double click on the Pencil icon on any branch that contains Notes. This will allow you to view your Notes no matter what field you have currently selected in the Properties pane. As your ideas flow and your map grows, you may be typing rapidly. If you find yourself typing a branch and realise you have typed it all in upper case when you didn't mean to, or you've forgotten to add capitals to the start of a word, there’s no need to delete and retype, or backspace back to the beginning. Just select the branch, then press “shift and F3” until you see the case of text you would like. Any features that you want to shout about and ensure other MindGenius users are using too? It doesn’t matter whether they are large features that are integral to the way you use MindGenius, or little, hidden gems that you have discovered, please post them below. MindGenius has over 300,000 registered users of its business and educational mind mapping applications. These users come from a variety of industries. 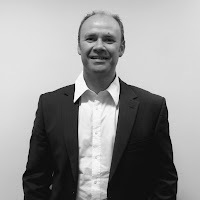 Each month, we will be focusing on how MindGenius is applied in a customer organisation. This month we are looking at Lumison, the UK internet service provider who is using MindGenius to accurately capture the complex requirements of clients and then demonstrate its solutions for managed networks, hosting and applications. The adoption of MindGenius enables Lumison to accurately capture, plan and demonstrate the complex requirements for managed networks, hosting and applications and help keep these projects on time and budget. Lumison enables their clients business applications by bringing together three portfolio elements: managed networks, managed hosting, and managed applications. Founded in 1995, Lumison is one of a few business-class ISPs in the UK to own and manage its own datacentre facilities, providing high quality IP network. Do you use MindGenius in the office to help with planning, presentations, or report writing? Are you a parent? If so, these techniques can also be applied to help your children structure their ideas, build on their organisational abilities and improve their studying efforts. Over 500 schools use MindGenius in the classroom and around 350 Further Education establishments across the UK, and internationally, have installed site licences, giving access to all students across their campus. However, benefits can be enhanced when school students also use MindGenius when they are working individually on school projects at home. We have heard evidence from those who work in education and those of us with children have witnessed at home how MindGenius can help children achieve more and grow in confidence. One way it can help them to do this is to assist with their studying efforts. "Before we did a Cell map I sat the General Exam and got a Grade 7(mark too low to score). After seeing a map being developed in class and using it to study I sat the Credit Exam (more difficult level) and I got a Grade 1. The teacher read one of my answers out to class saying this was someone who clearly knows about the topic. " "I have been using MindGenius to help with my Health and Social care college course work for a couple of years now, in particular for presentations. I enjoy using it and like the fact I can insert pictures and use it for presenting to my class. For one course I received a merit and I think MindGenius helped me to achieve this." Have you used MindGenius with your own children yet? Would you like to share their success stories with other people? Do you work in education and have seen MindGenius in action with school pupils? If so, please post your stories below. MindGenius is used by everyone in-house at MindGenius Ltd, no matter what their job role is, however, everyone uses it in a way that is personal to them. Different team members will explain how they use MindGenius in their role and hopefully give you some new ideas on how you can apply it too. I have been in the business of Mindmapping software for approaching 5 years now. I use MindGenius in front of clients. It’s less about showing them our software, and much more about having a medium for collecting information and understanding their business challenges. The maps enable us to gain clarity and alignment in each sales meeting. I also use MindGenius as a personal dashboard for starting each day and have a clear picture of my key goals and objectives. 1. Personal dashboard of immediate things that need to be done, as well as my ‘radar’ of things I’m generally thinking about or need to keep an eye on. I have these synchronised with my Outlook task manager which in turn is in synch with my Blackberry. 2. Exploring a new set of ideas. Recently I needed to revamp our channel partner program. I conducted the entire process in MindGenius and then used the map as a vehicle for internally soliciting input from my colleagues. For me, no other piece of traditional office software allows me to think through my ideas so thoroughly and rapidly. 3. Presenting to new customers. Using MindGenius combined with an online meeting tool such as Webex or NetViewer, allows me to give an interactive presentation to customers wherever they are based in the world. While linear presentation tools such as MS PowerPoint still have their place, for me the interactive benefits such as the way it enables full participation and dialogue to be rapidly established across all parties sets it apart from such linear tools. I can also capture customer requirements as we speak, ensuring my understanding of their requirements is 100% accurate. Do you use MindGenius in a commerical or sales capacity? Do you use it for the same things as Dustin? MindGenius are currently looking for new resellers and affiliates. Would you like to earn generous commission rates from MindGenius? Whatever your expertise we will have a solution that allows you to get involved and get earning. Whether you are an established software reseller who does business in the UK or internationally, a trainer or consultant who uses MindGenius in their working lives, or simply an individual with their own website and an interest in business or educational mind mapping, our Partner Programme will try to accommodate you. Our Premier Partners enter into a full working relationship with MindGenius and the benefits available here reflect this, including high rates of reseller commission and a listing on our high traffic website. Premier Partner organisations must have a dedicated business or division intent on accelerating the uptake of mind mapping applications. Recently Olympic, a leading business mind mapping reseller, Iansyst, reknowned for their expertise in the assisted learning field, and Douglas Stewart, a specialist international distributor in the educational market, have joined this programme. Are legitimate resellers who can fulfil MindGenius orders in the UK and internationally. In addition to good commission rates, the buying process is simplified with a straight forward web-based ordering service. If you are a trainer or consultant who can use MindGenius with your clients, or have your own website which displays an interest in Mind Mapping, our Affiliate programme offers generous rates of commission and, in some cases, the opportunity to have a listing on our high traffic website. We look forward to working with new partners to ensure the continued success of MindGenius. If you are interested in any of the programmes or have other skills you would like to tell us about, please contact us at partners@mindgenius.com and let us know how you can help and a little about yourself or business as appropriate.